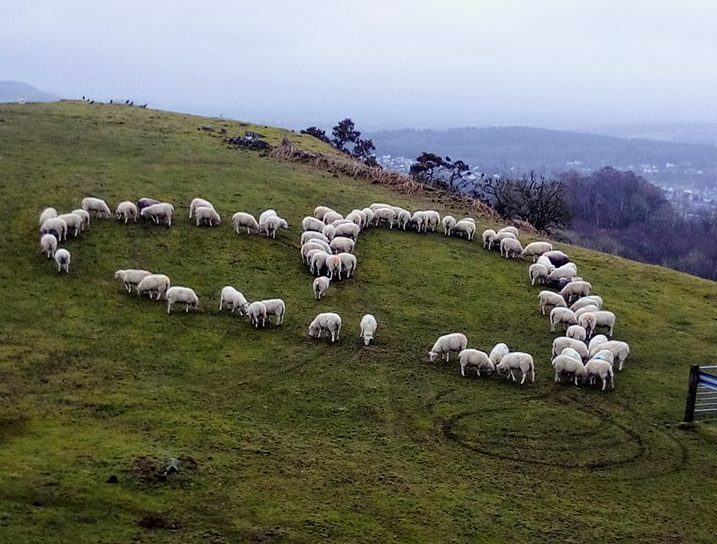 39 Year old farmer Sam Hutton from Buittle Mains, Dalbeattie, Dumfries and Galloway, showed passers by that he has a big heart, when he was feeding his lambing ewes this morning, Valentines day, Feburary the 14th 2019. The Hutton family have farmed at Buittle mains for 105 years and run it as a mixed stock farm. Sam has 200 pedigree Llyen ewes that have recently started lambing.